Council met with the members of the Planning Commission to briefly discuss some items of mutual interest. 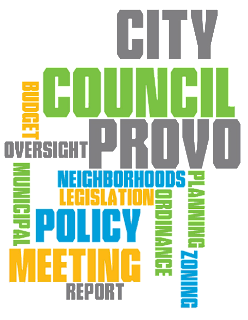 They discussed the direction that Council is looking to take development in Provo, the appointment procedures relating to the Planning Commission, and land use issues coming before the Planning Commission that could be resolved through legislation. Acting on a recommendation from the Budget Committee, Council made a request in 2015 to have the Administration bring a group of 25 fees each quarter from the consolidated fee schedule to allow Council members to review them. The goal was to be able to look at all 300 or so user fees over time to evaluate how they compare to actual costs. Mayor Curtis had asked to discuss this process since it was originally requested by the previous Council. Questions were raised on whether the current Council wanted to continue with this process and whether the results from the review were worth the staff time and effort to provide detailed cost information. Council staff has been asked to consult with Administration and prepare recommendations to present at the October 4 work meeting. Met Teri McCabe, who has been recommended to serve on the Library Board. Discussed a proposed interlocal cooperation agreement for the Lakeview Parkway Project. Discussed a request for a zone map amendment from agricultural to single-family residential to facilitate the development of a 50-lot subdivision in the Sunset Neighborhood. Discussed a request to change the front yard setback for the Broadview Shores development in the Lakeview North Neighborhood. Discussed a request to reduce the minimum story height and changing the application of transition standards for the DT1 Zone in the Timp Neighborhood. Discussed a General Plan Amendment and zone change from public facilities to residential for two lot remnants in the Sherwood Hills Neighborhood. This will be formally heard at the September 6 Council meeting. Discussed a request to allow for larger electronic signs in the Riverside Neighborhood between 3000 and 3300 North University Avenue for emergency healthcare services. This will be formally heard at the September 6 Council meeting. Discussed several requests from the Community Development Department for ordinance amendments in various areas of the City Code, including allowances for variable lot subdivisions and open space subdivisions, setbacks for flag lots, aspects related to the development of flag lots, and required lot widths in one-family residential zones. Robbie Potter, Dixon Neighborhood Chair, spoke about many of the great assets in the neighborhood. They hold an annual Dixon Day of Service, looking for opportunities to serve their neighbors. The 2016 Dixon Day of Service was held on August 13 and they focused on clearing brush and weeds and painting fences. Dixon Neighborhood has also used Neighborhood Program matching grant funds to improve the sidewalks in certain areas to help residents in wheelchairs make their way around the neighborhood. 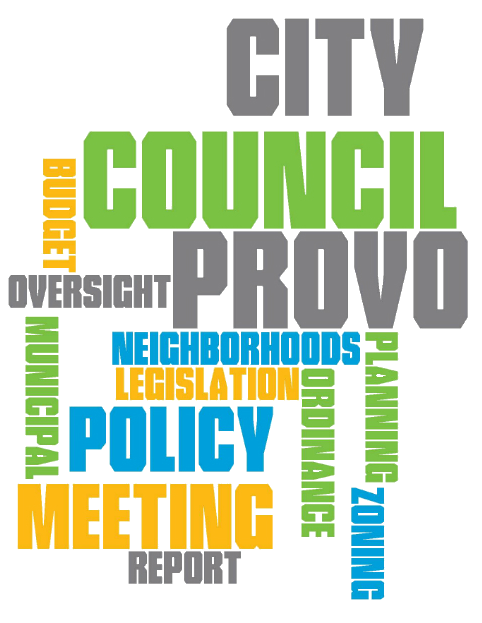 Many citizens and business people in Provo serve on a variety of City boards and commissions. A number of vacancies and completed terms resulted in a long list of appointees being submitted to the Council for their consent. Council passed a resolution consenting to the appointment of individuals to various boards and commissions. David Smith and Jonathan Crosland were appointed to the Board of Adjustment. Rick Healey was appointed to the Civil Service Commission. Scott Bingham, Roger Knell, Mike Lee, Phillip Kiser, and Carol Walker were appointed to the Design Review Commission. Norm Wright, Cheryl Taylor, and Ned Hill were appointed to the Energy Board. Jon Kau, Buddy Richards, Criag Carlile, Doug Gale, and Clarice Manzione were appointed to the Housing Authority. Matthew Christensen and Brigham Daniels were appointed to the Landmarks Commission. Teri McCabe, Jennifer Wright, and Rebecca Burton were appointed to the Library Board. Bryant Livingston and Aubrey Hanks were appointed to the Parks and Recreation Board. Ross Flom, Jamin Rowan, Kermit McKinney, and Brian Smith were appointed to the Planning Commission. David Arnold and Laureen Urquiaga were appointed to the Transportation and Mobility Advisory Committee. Watched the Provo Police Department present the Good Citizen Award to Rite Aid because of their efforts to help senior citizens avoid being victims of scams. Viewed a presentation by the Covey Center for the Arts. Congratulated Chris Cooper on being selected as July 2016 Employee of the Month. Was introduced to Jonathan Crosland, recommended appointee to the Board of Adjustments, and Lauren Manzione, recommended appointee to the Housing Authority. Passed a resolution authorizing a perpetual license agreement for right-of-way access related to Lakeview Parkway. Passed an ordinance amending the wastewater fees on the Provo City consolidated fee schedule. Passed a resolution approving the interlocal agreement between Provo City and Utah County for the Lakeview Parkway Project. Passed interlocal agreements to allow tax increment financing for the Aviation Services Community Development Project Area. Passed an impact fee funding agreement for the South Downtown Community Development Project Area. Denied a request for a zone map amendment from agricultural to single-family residential to facilitate the development of a 50-lot subdivision in the Sunset Neighborhood. Passed an ordinance amendment changing the front yard setback for the Broadview Shores development in the Lakeview North Neighborhood. Passed an ordinance amending the minimum story height and changing the application of transition standards for the DT1 Zone in the Timp Neighborhood. Voted to continue an ordinance amendment regarding yard definitions and required widths and setbacks for corner lots in the one-family residential zone. This will be heard at the September 6 Council work meeting.